Northgate Tire offers BFGoodrich® brand tires. BFGoodrich has been known for innovations throughout history, like adding Carbon Black into rubber compounds to improve abrasion resistance and tread life. BFGoodrich tires are known for high performance, with enhanced grip and control. BFGoodrich is also credited with the development of the world's first light truck performance radial tire, invention of the first tubeless tire, and the first light truck radial mud tire. Advantage T/A is a BF Goodrich passenger and sports car tire that is designed for all-season driving. This tire was developed for excellent traction in wet and dry conditions, using an Interlocking sipe design that maximizes grip in all weather conditions and offers responsive handling. An excellent tire for all-season use, the G-Force Super Sport A/S has tremendous grip in wet, dry, and snowy conditions by enhancing water evacuation. Anti-hydroplaning Aqua Chute Channels are incorporated to improve wet traction with tread blocks designed to grip snow. G-Force T/A KDW is an excellent sport truck and sports car tire for a great summer experience. The G-Force T/A KDW has over eighty sizes to choose from, making this tire suited for any rim. Call or visit Northgate Tire to learn more about BFGoodrich tires. 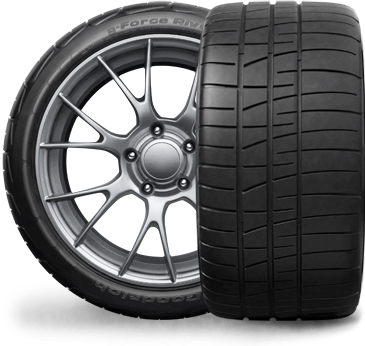 BFGoodrich Extreme Performance Summer tire, the g-Force Rival is designed for sports car and pro-touring car driving enthusiasts who want an impressive looking tire and unsurpassed performance on the highway. Developed with razor-sharp reflexes, the g-Force Rival is engineered to exceed the limits by delivering extreme grip that is very reliable. g-Force Rival tires feature a Silica-infused compound molded into asymmetric tread designs that are performance-tuned.